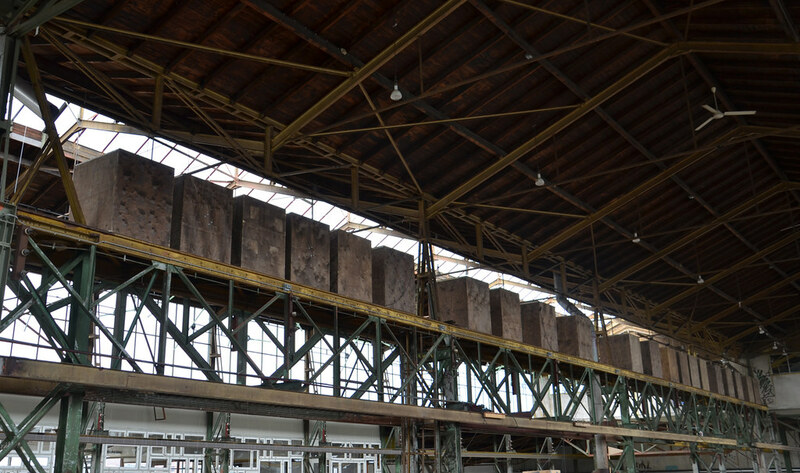 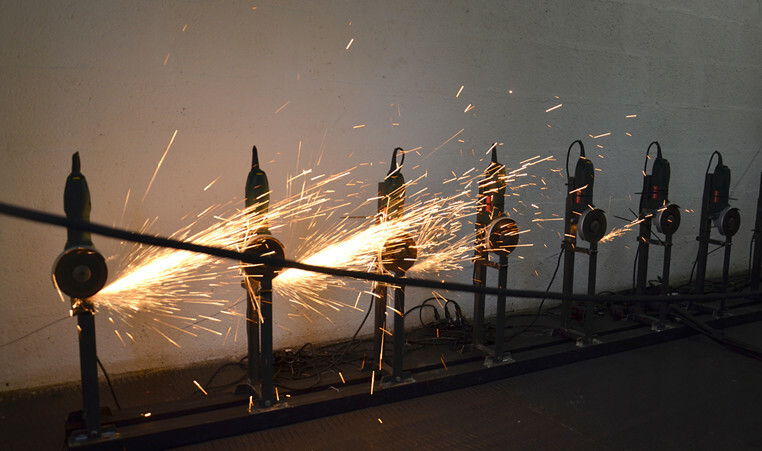 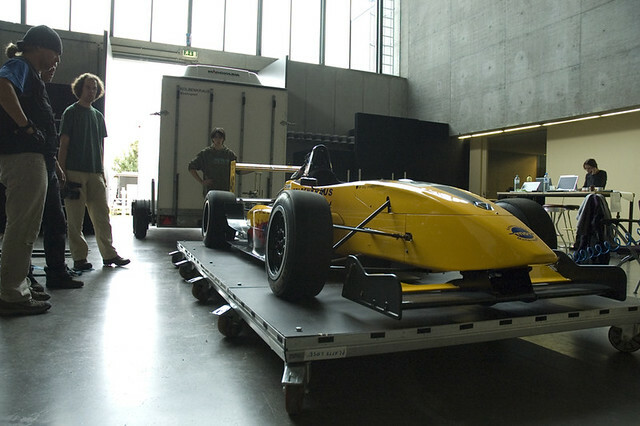 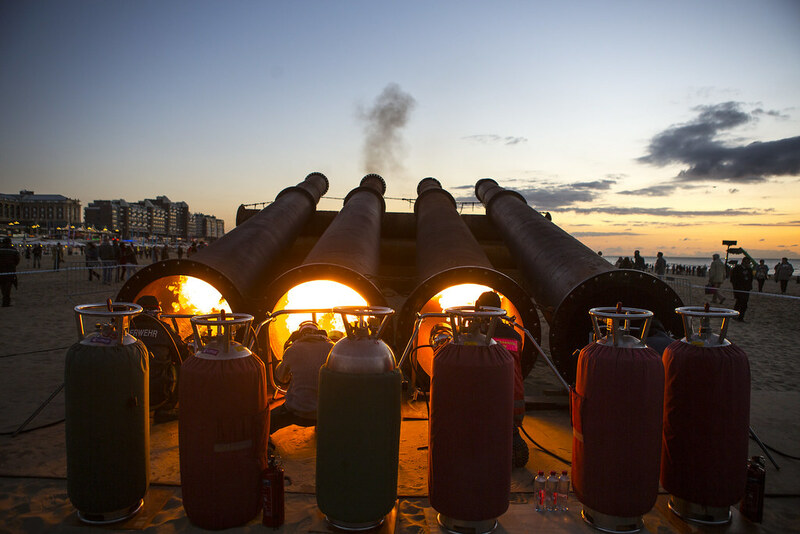 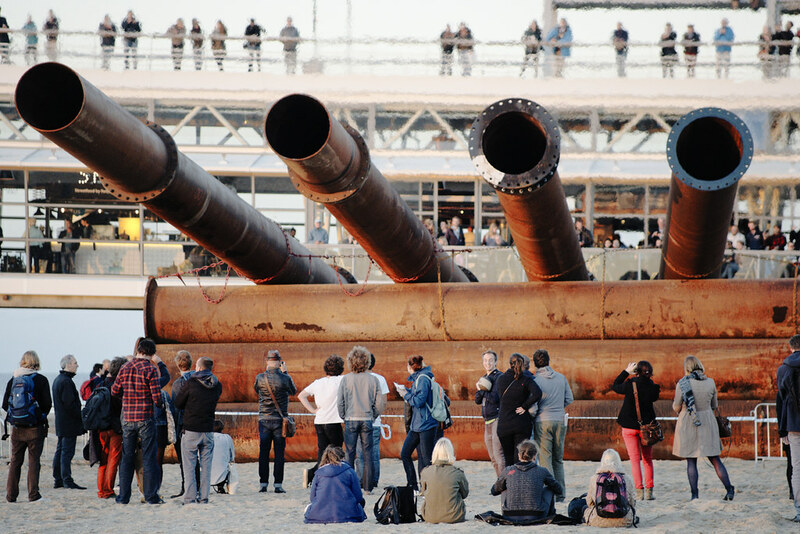 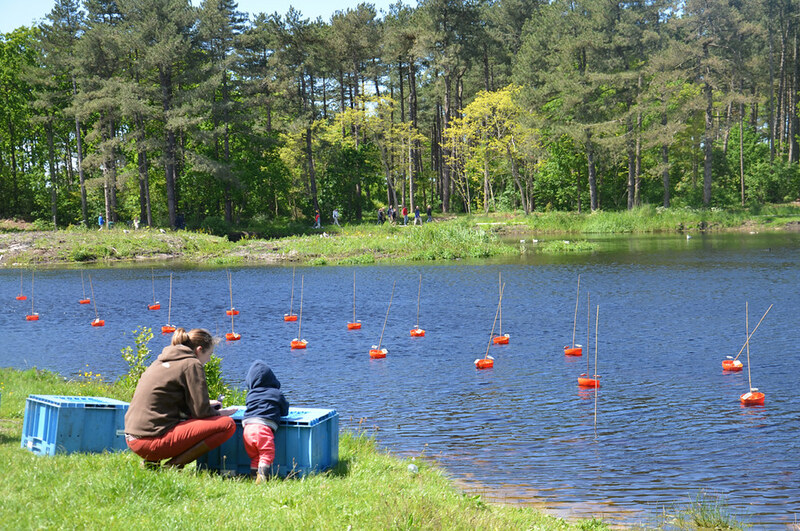 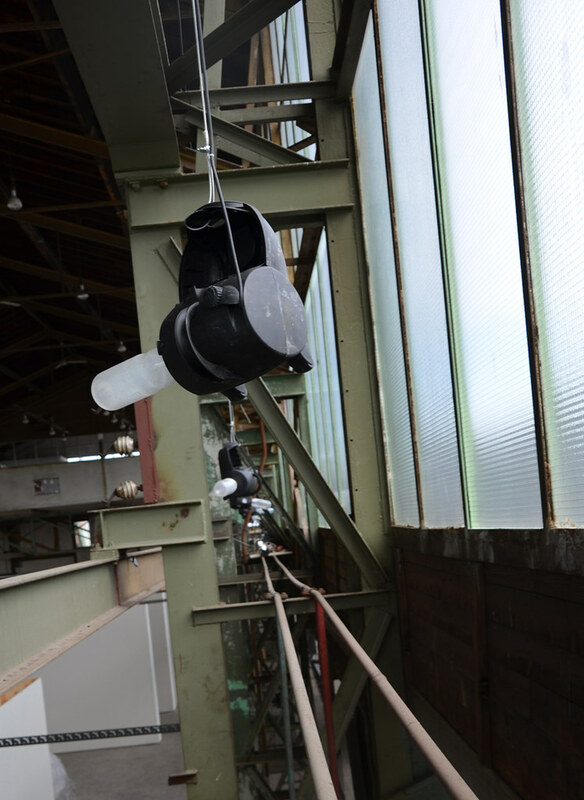 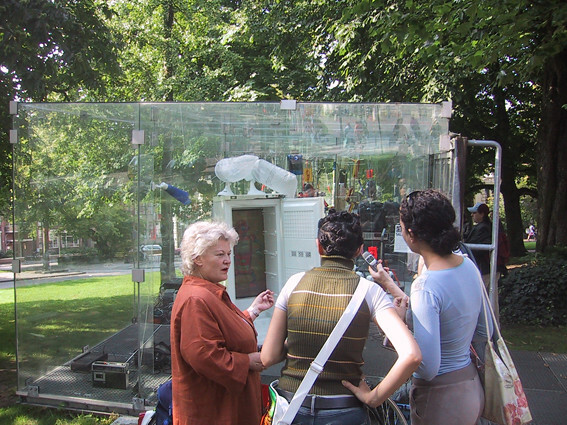 Since 2000, Staalplaat Soundsystem have been making sound artworks and performances, which are usually installed or performed in locations outside the museum – industrial settings, urban public spaces, even nature. 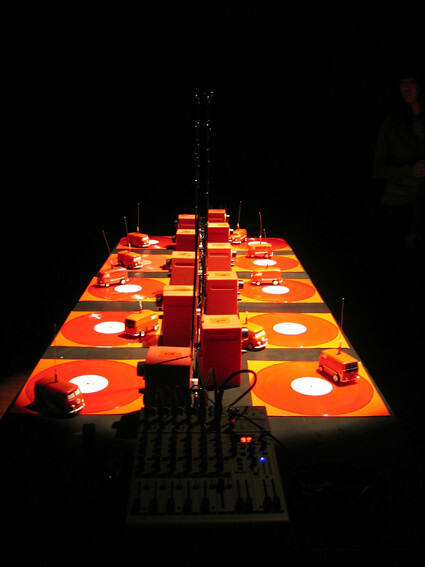 Over fifteen years, Staalplaat Soundsystem has amassed a multidisciplinary oeuvre that is ephemeral and immaterial at the same time as it is physical and present. 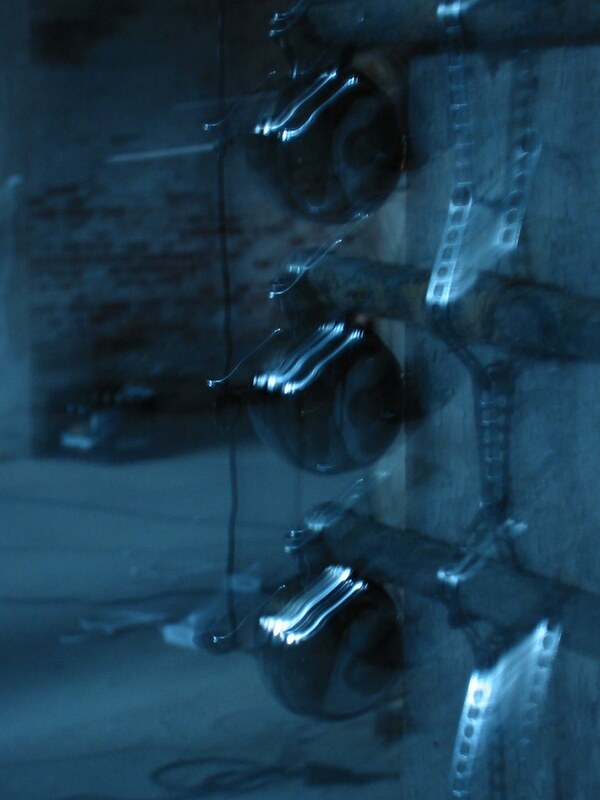 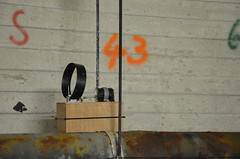 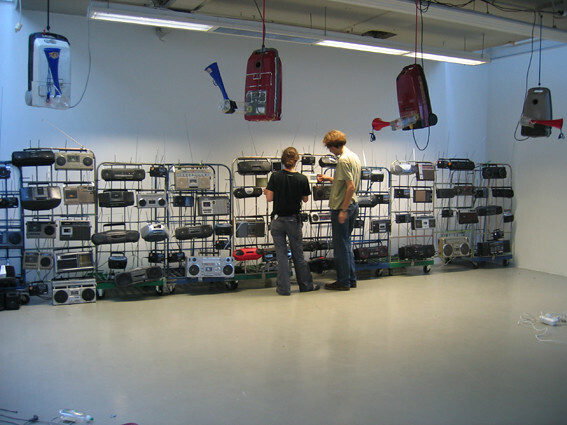 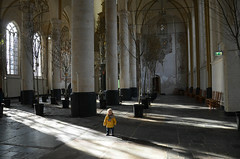 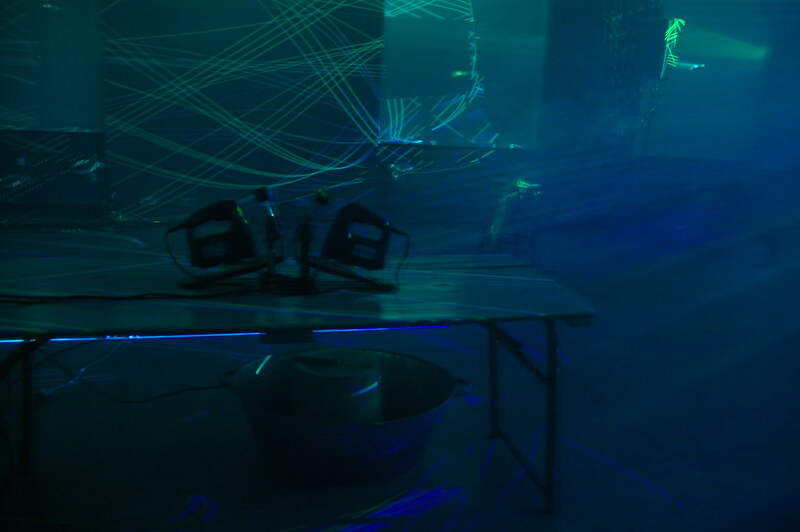 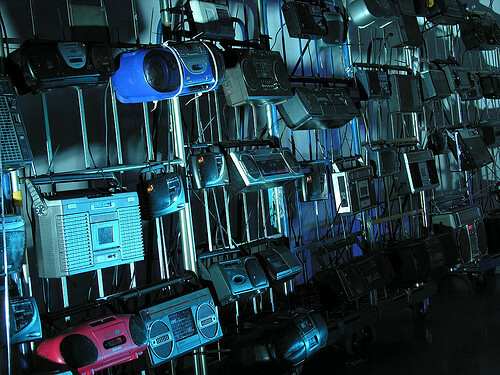 Staalplaat Soundsystem’s earliest works consist of “mechanical orchestras”, including Earitainment in Stereo (2001), an installation for dozens of old radios, TVs and dot matrix printers; Sweet Sissy and the Ballroom Hiss (2002), an installation consisting of 12 floor polishers; and Avantilator (2003), a composition for electric office fans. 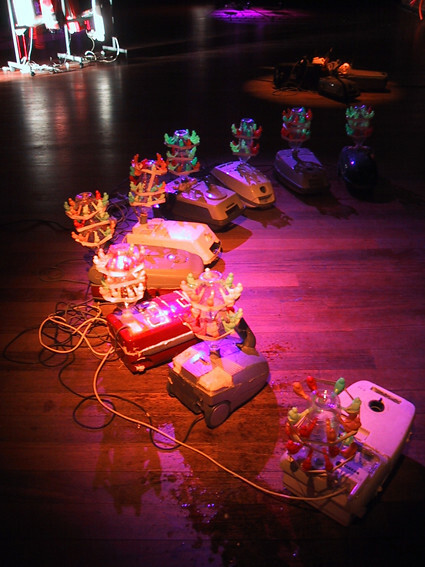 They are works that speak to the imagination, with objects that come to life, mechanically powered and sonically directed by Staalplaat. 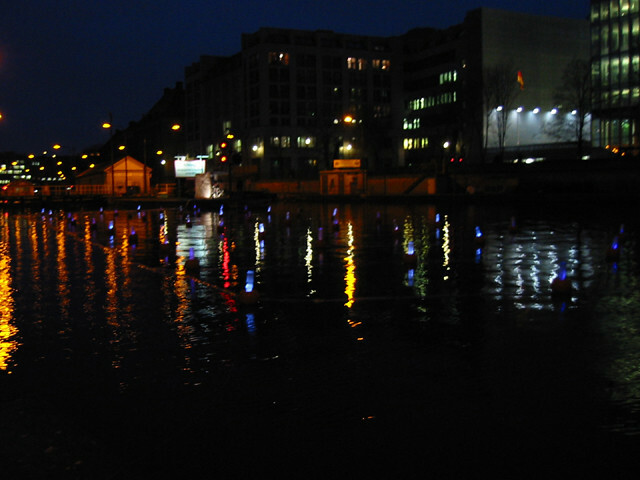 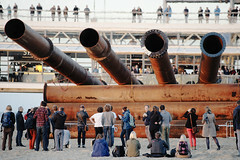 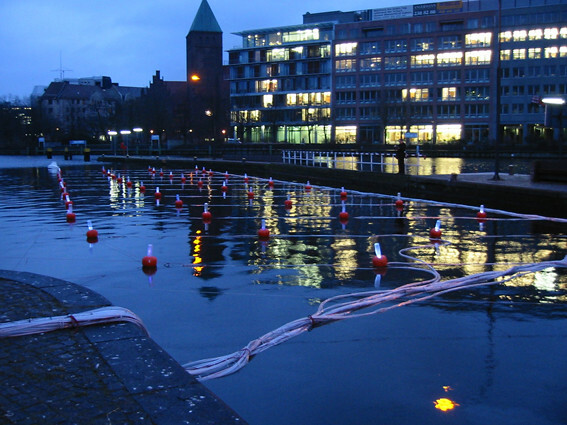 According to the artist, a highlight among these assemblages of consumer appliances was Floating Islands (2004), a large floating sound and light installation comprising fifty vacuum cleaners accompanied by plastic bottles and lights, made for the opening of the Rem Koolhaas-designed Netherlands embassy in Berlin and temporarily placed in the Spree River. 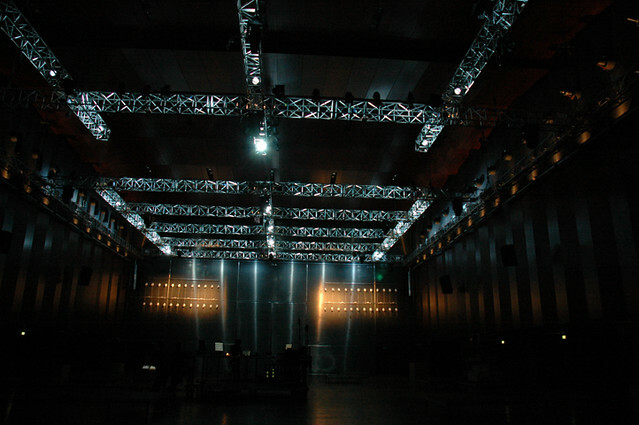 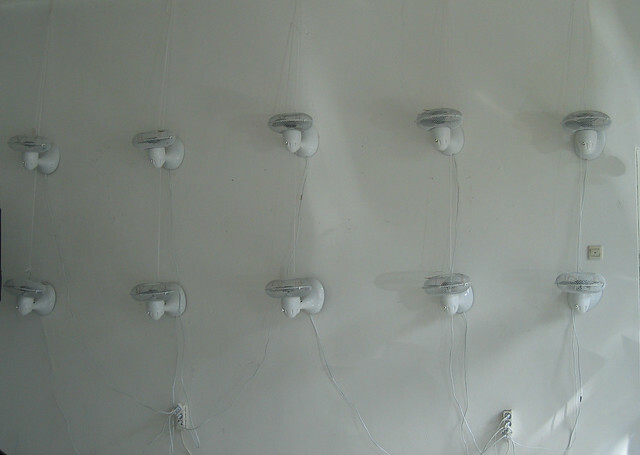 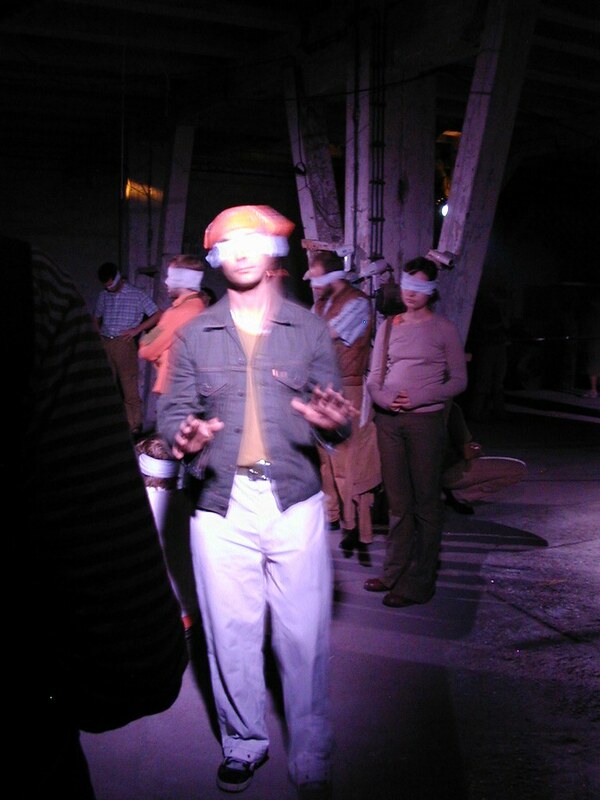 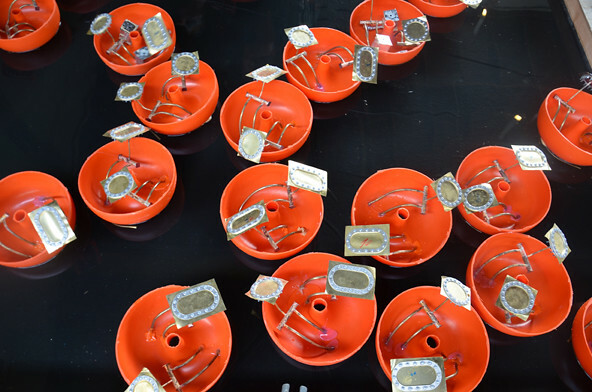 The audience is expressly invited to participate in Staalplaat Soundsystem’s work; the interactive element is manifest in works such as Sale Away (2004), in which viewers can operate a mechanical orchestra using their mobile phones as an interface. 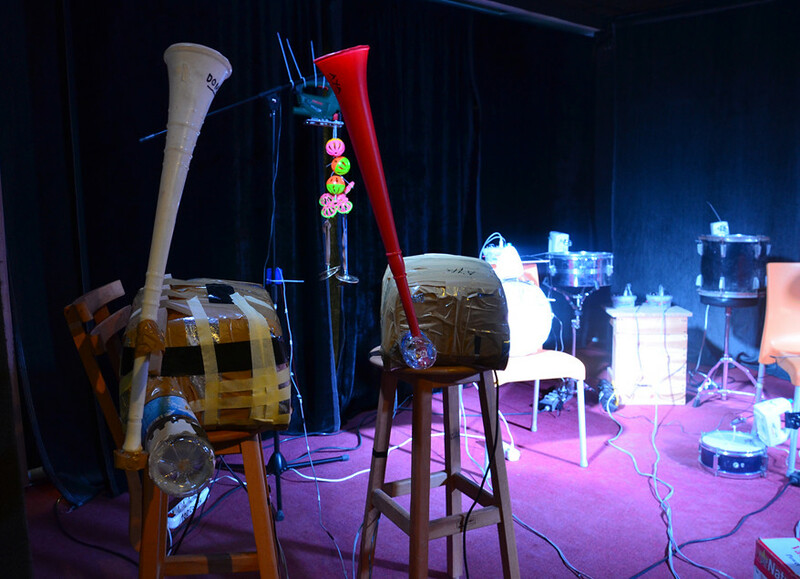 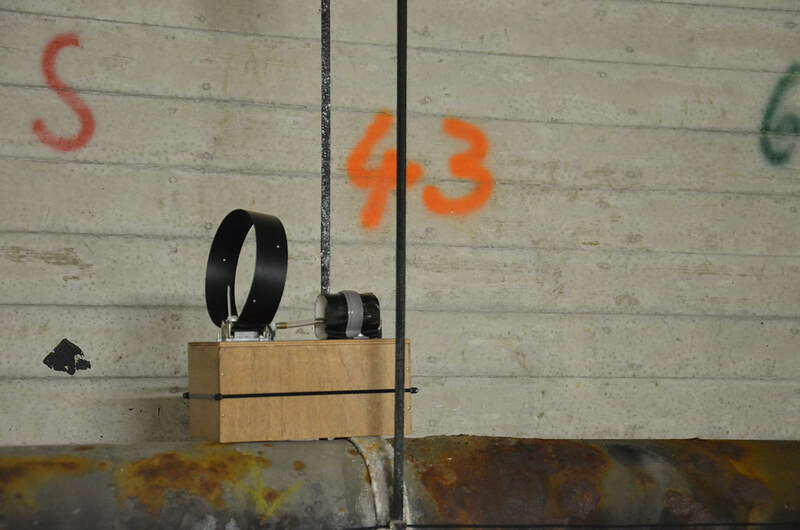 This ensemble also consists of household machines, with a computer monitor as conductor; listeners dial in to the system to make the instruments play. 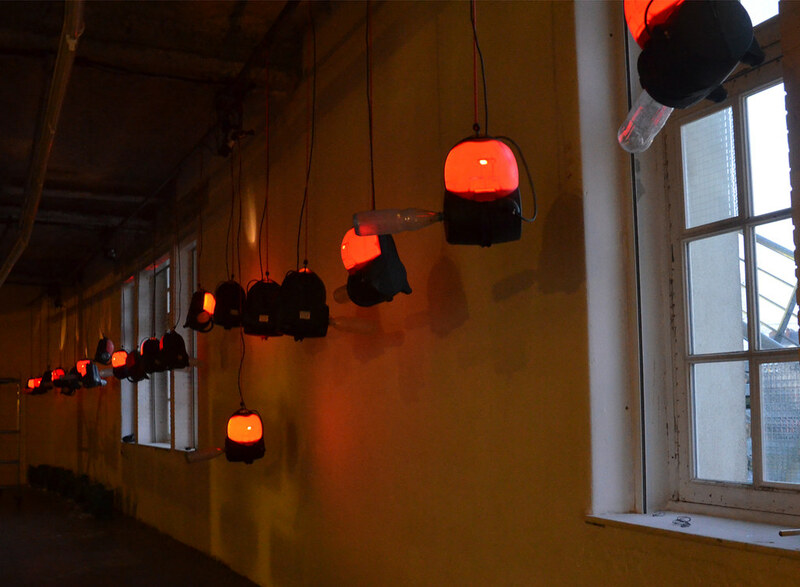 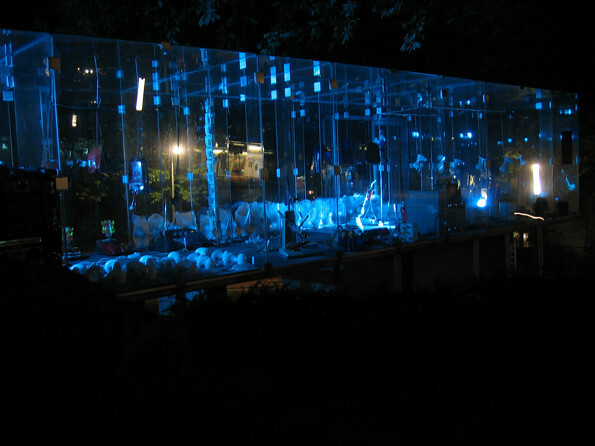 Sale Away was originally installed in a shopping street in Osnabrück, Germany, for the European Media Art Festival. 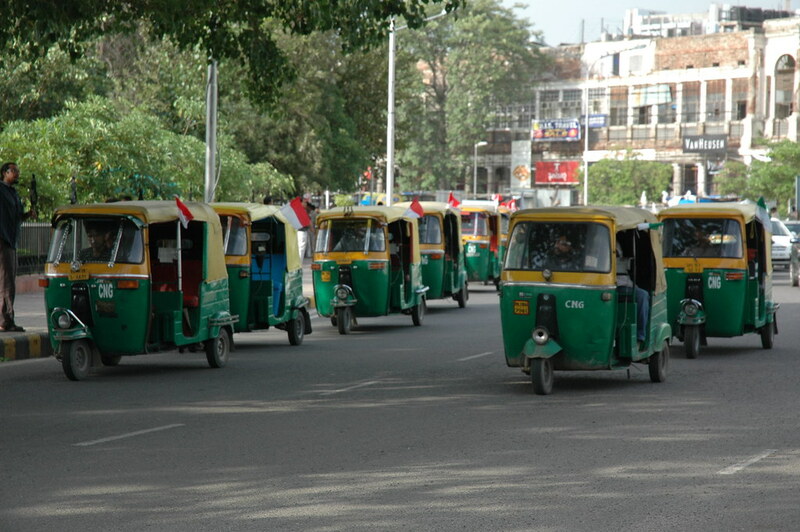 In the public work Yokomono-Pro (2008), first performed during the India Art Summit in New Delhi, 30 auto rickshaws – a common sight in India – drove through the city along a route mapped by Staalplaat. 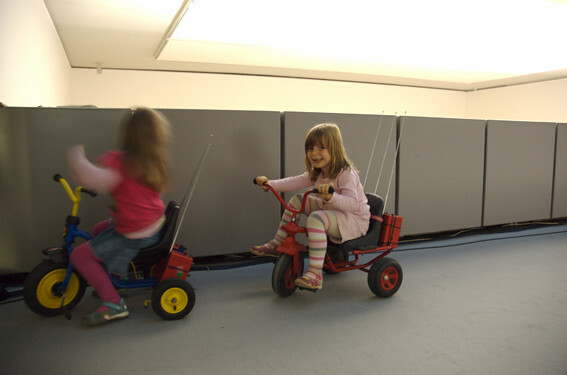 The three-wheeled taxis’ horns were operated remotely by means of transmitters. 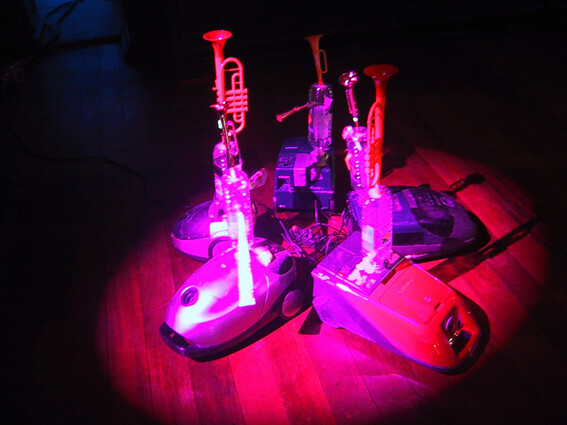 The horn chorus and the taxis’ driving patterns came together in an impressive feat of urban sonic choreography. 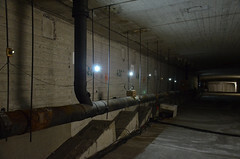 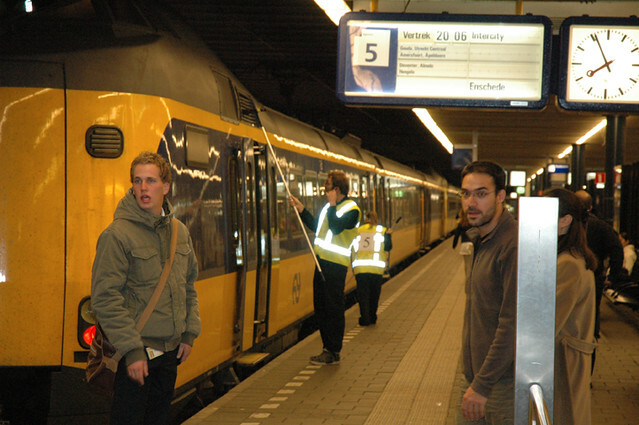 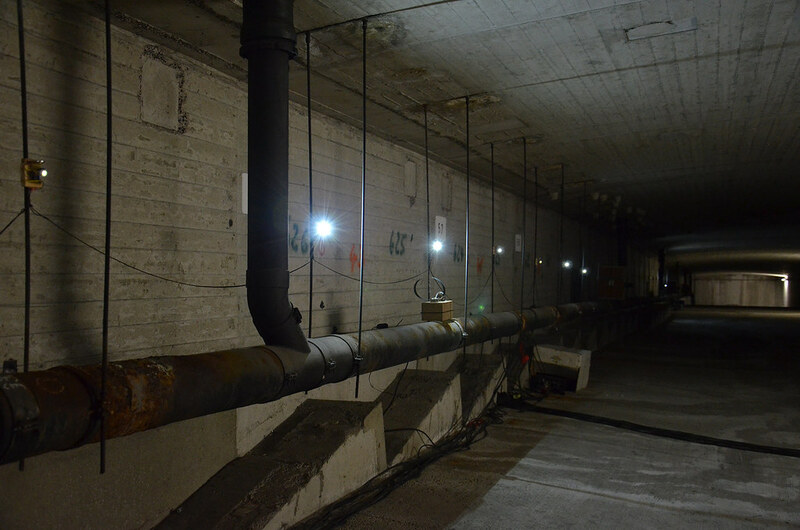 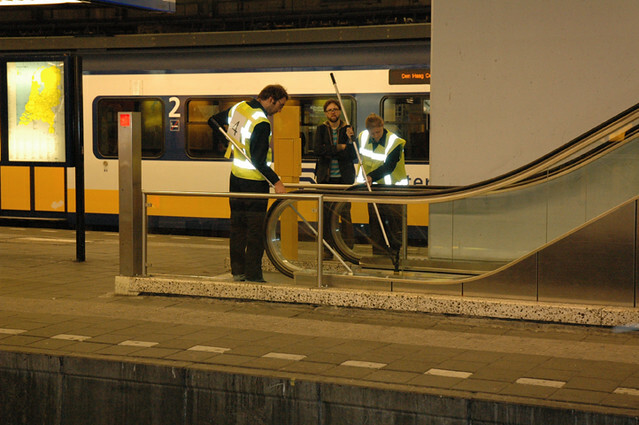 In 2010, at the TodaysArt Festival in The Hague, Staalplaat again made use of a municipal transport system: in the performance Station to Station, trains arriving and departing at The Hague’s central station served as faders on an imaginary mixing board, controlling ten train horns and other ambient sounds in one vast shared public sonic space. 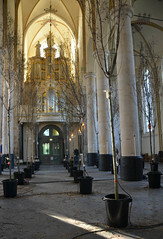 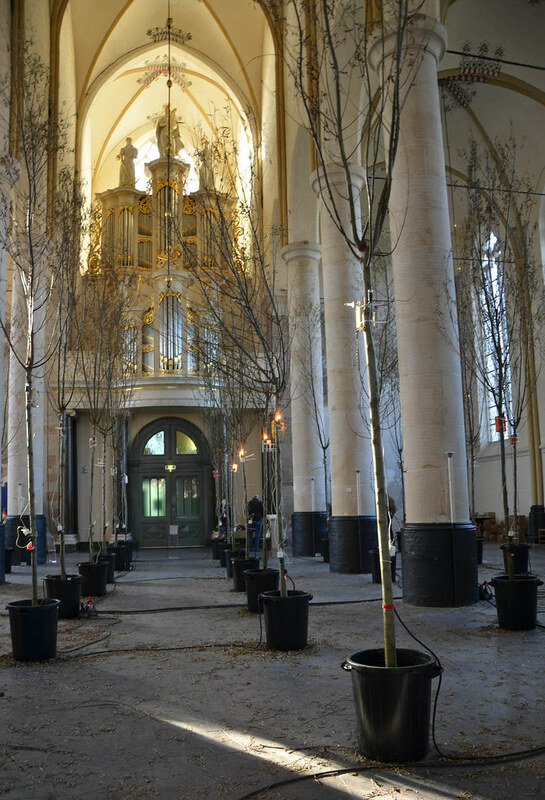 In Composed City, a collaborative project with LOLA Landscape Architects, Staalplaat again used public space as a musical instrument, allowing sound to contribute to the construction of a local identity and investigating the common ground between sonic art and landscape architecture. 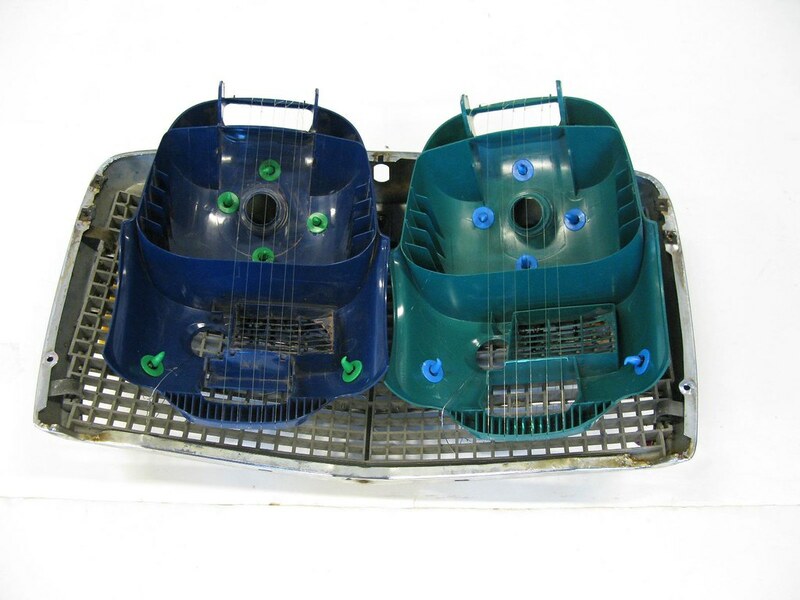 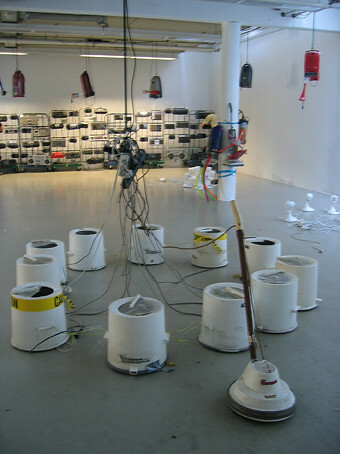 One of the component works is Composed Nature (2011). 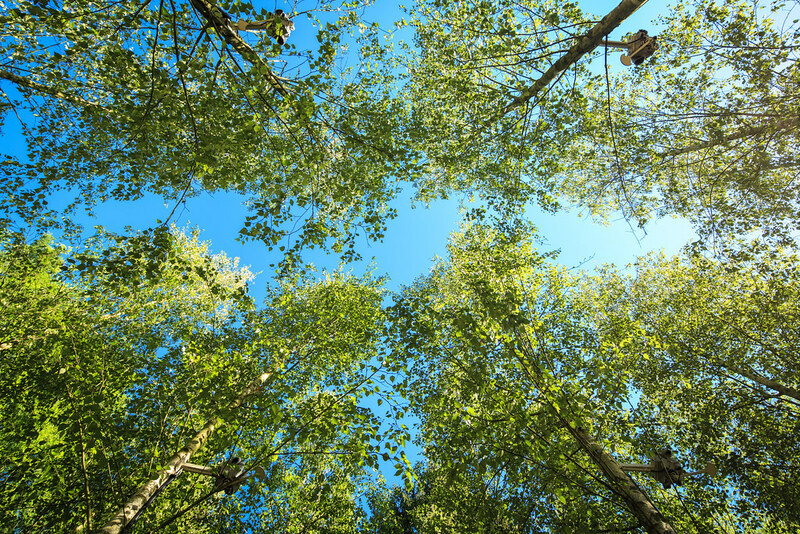 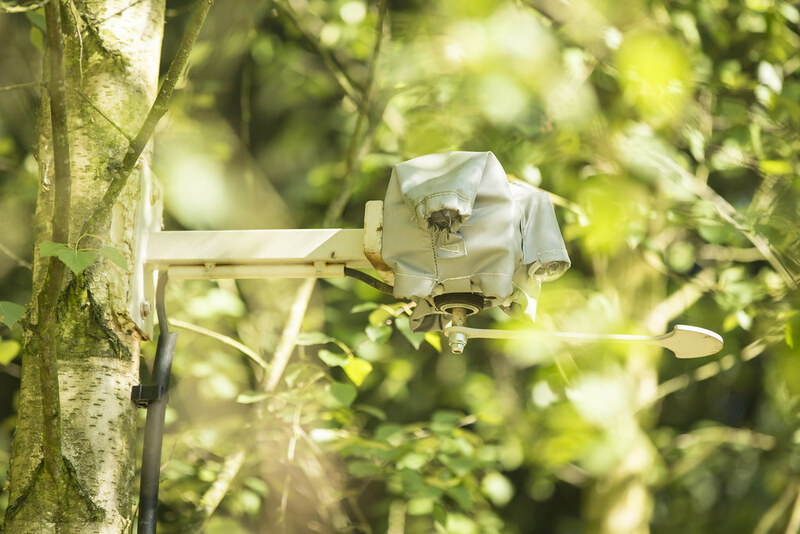 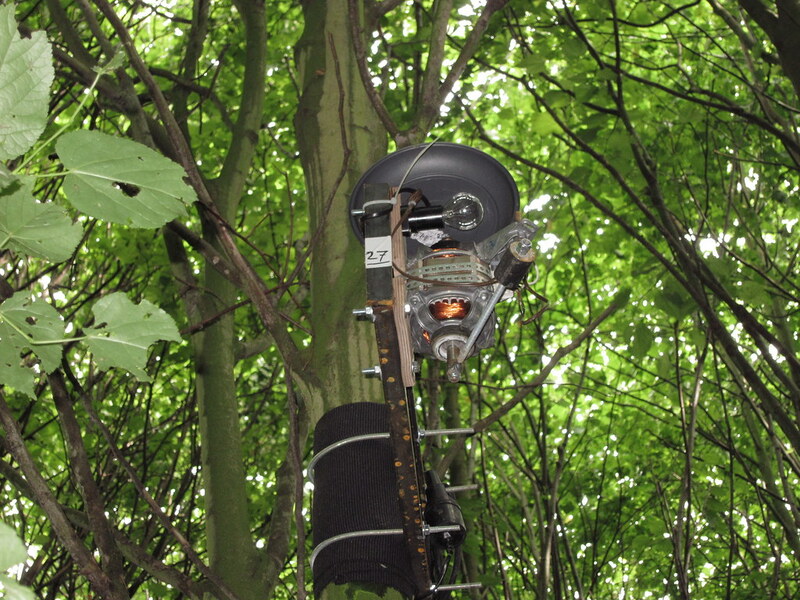 In a deserted forest outside the city of Dordrecht, 64 trees, each with a vibrating motor attached, were mechanically activated so that their leaves rustled in a controlled manner. 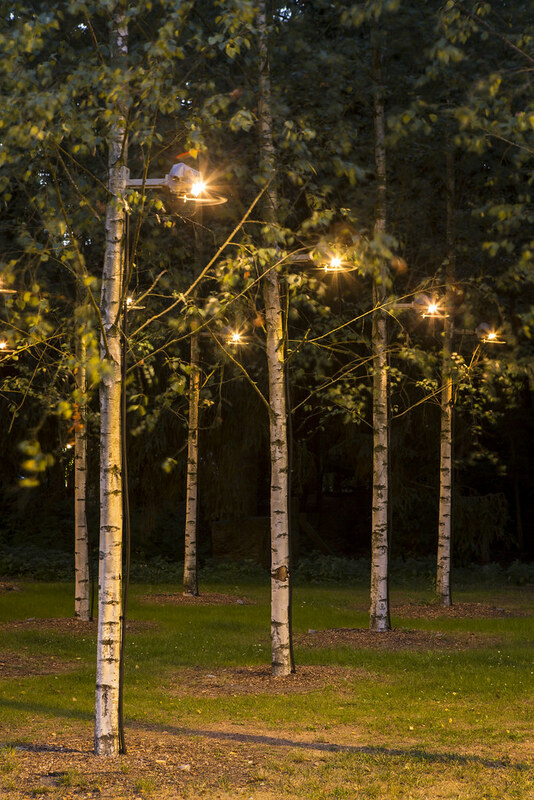 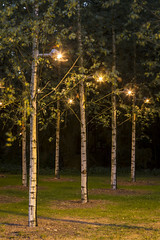 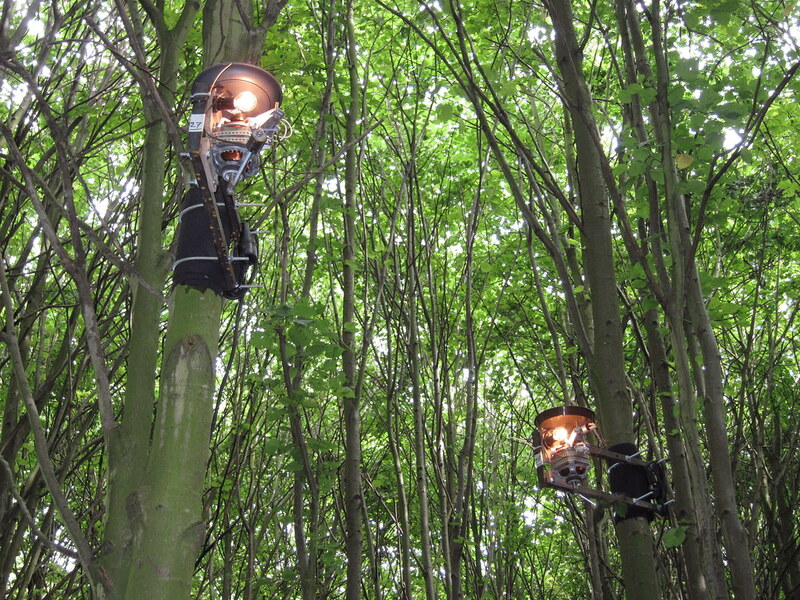 Visitors were surrounded by the rustling and could experience it in different ways as they walked between the trees. 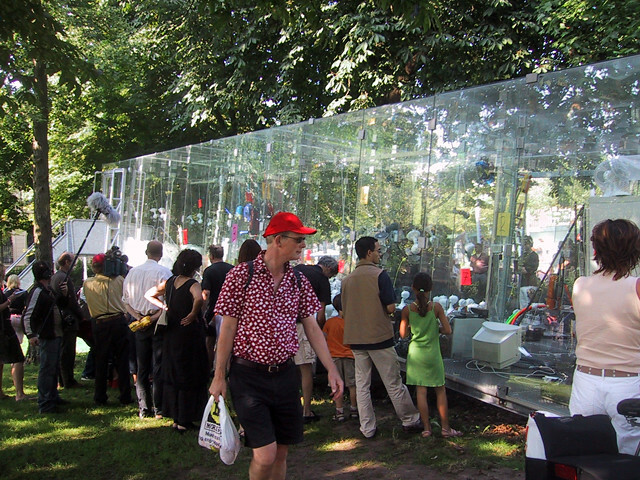 They could use their mobile phones to “play” certain patterns and thus influence the behaviour of nature. 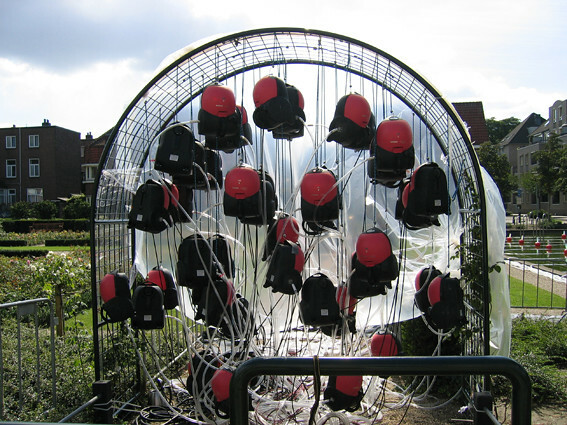 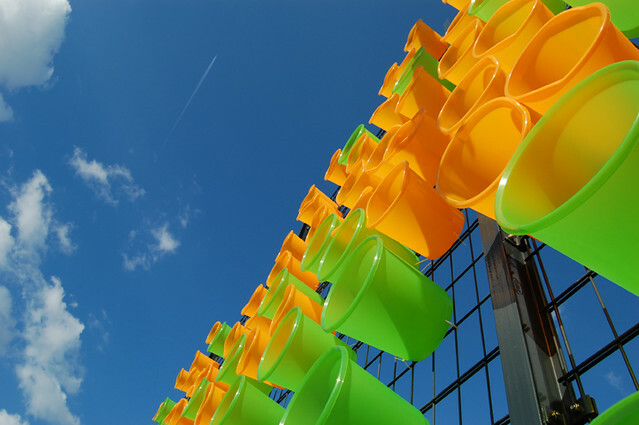 In another Composed City work, Kick-It (2008), numerous brightly coloured buckets attached to a fence surrounding a small football field in the Wriezener Freiraum park in Friedrichshain, Berlin, generated a sonic experience as well as a visual one by amplifying the sounds of players’ feet kicking the ball. 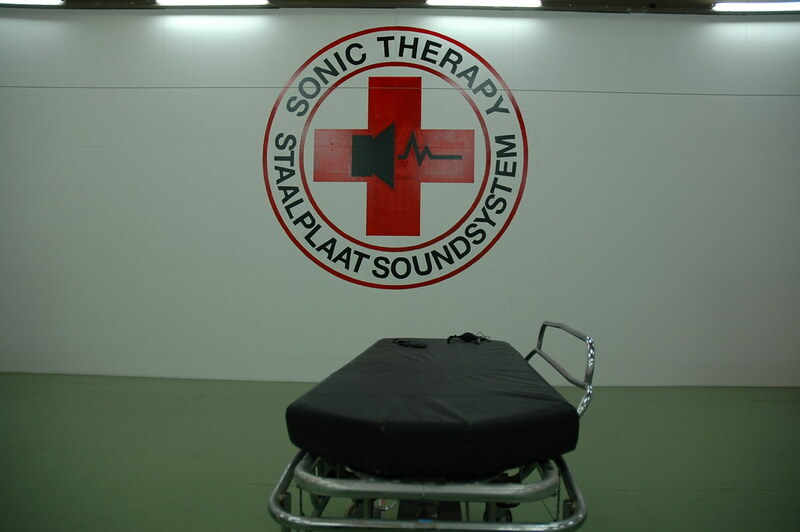 Sonic Therapy finds Staalplaat turn inward and make rare use of the human body as artistic platform. 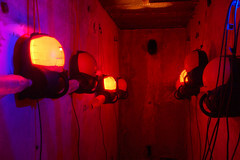 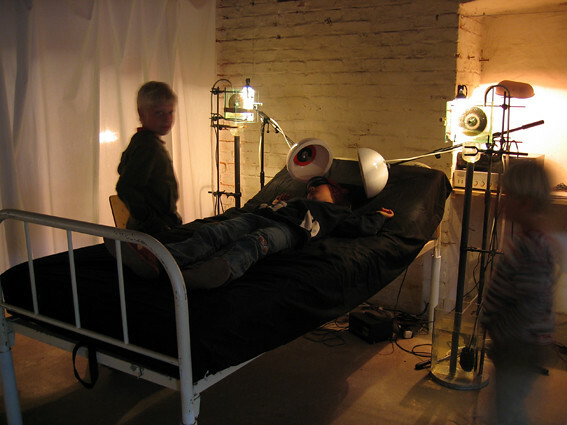 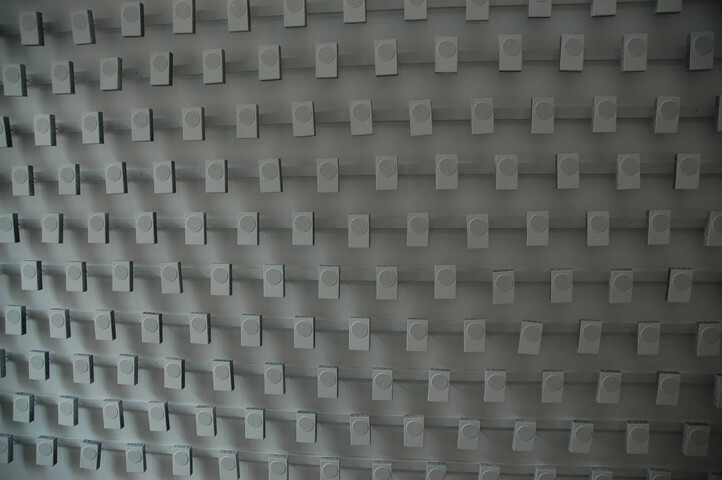 The psycho-medical installation allows visitors a unique, personal sensory experience in a fabricated clinical environment. 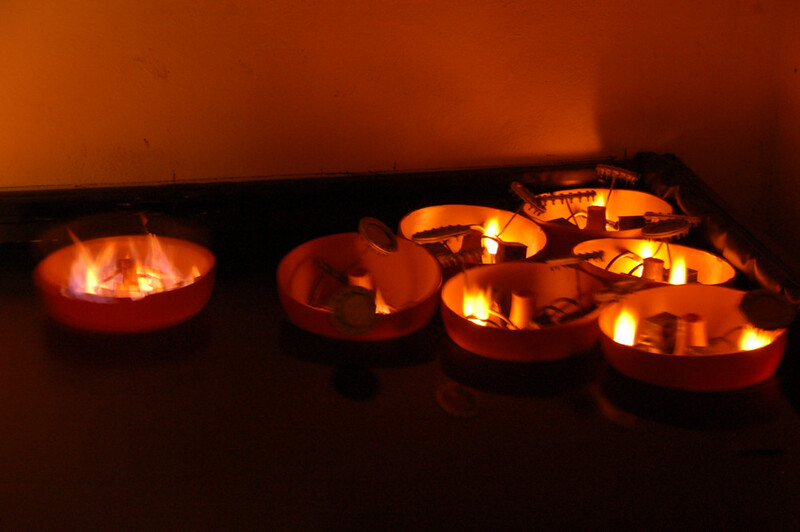 Therapies range from relaxing and energising to mildly disturbing and sonically challenging. 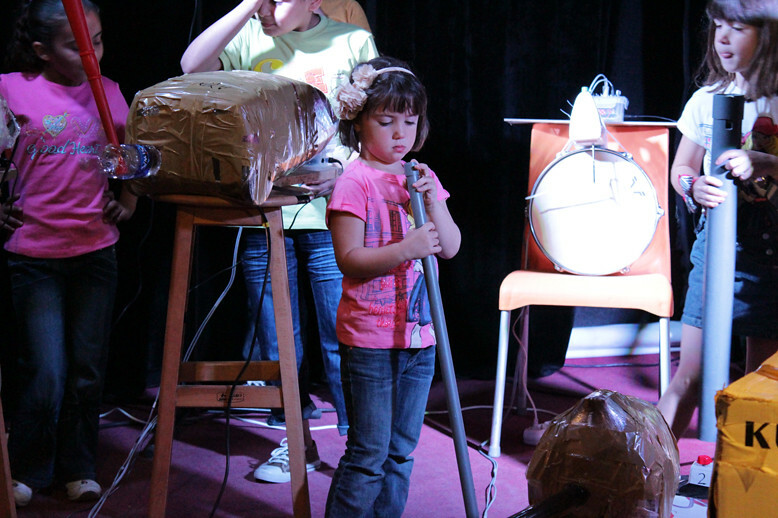 Last but not least we have a series of (kids) workshops & Lectures. 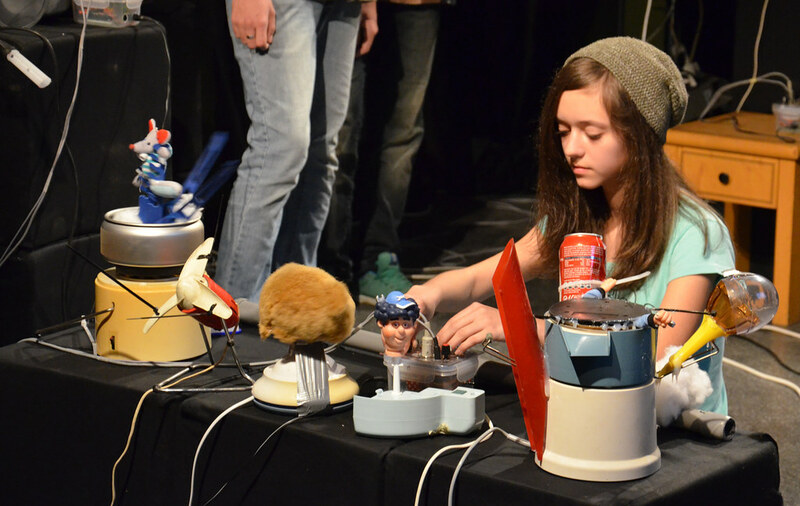 During our performances and installations, we noticed that children were fascinated by our way of playfully misusing everyday household items. 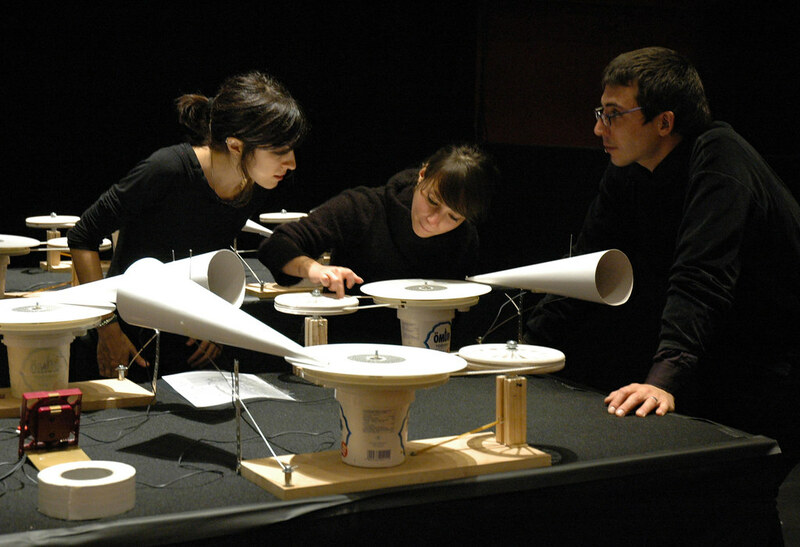 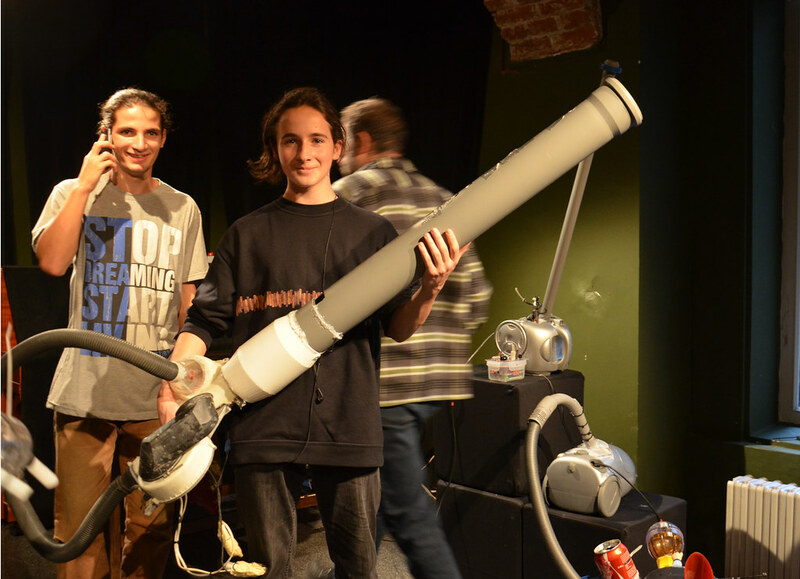 In 2005, we decided to develop our first instrument-building workshop for children. 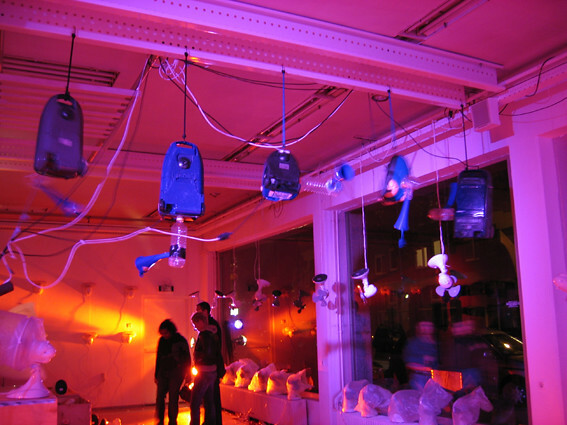 Our workshops aim to stimulate and explain the creative process. We provide clear techniques and simple tools while guiding participants in the design and realisation of their unique ideas. 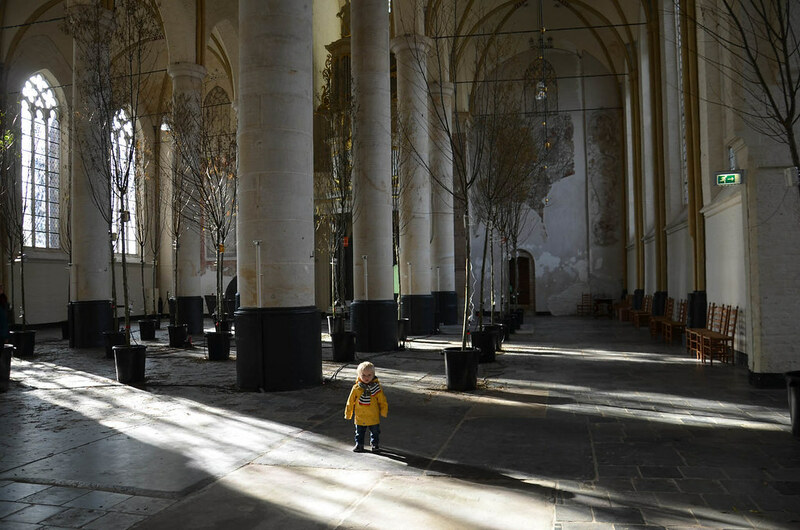 We take care not to influence the children’s creative choices, instead focusing on inspiring confidence in their own individual concepts and decisions. 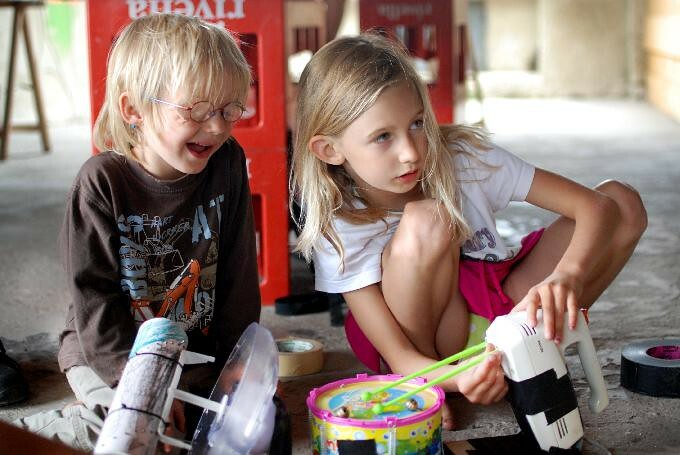 We have found this methodology successful for teaching children to find creative and inspired solutions to problems. 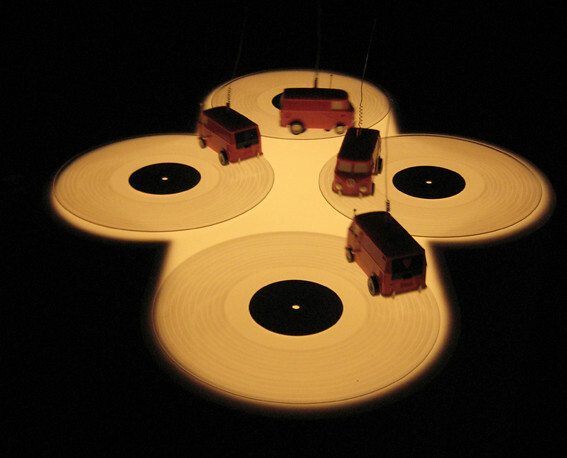 In 1982 Hobijn founded staalplaat® that has evolved into four independent expressions: the staalplaat shop, the staalplaat Sound label, the cassette label staaltape and staalplaat soundsystem. 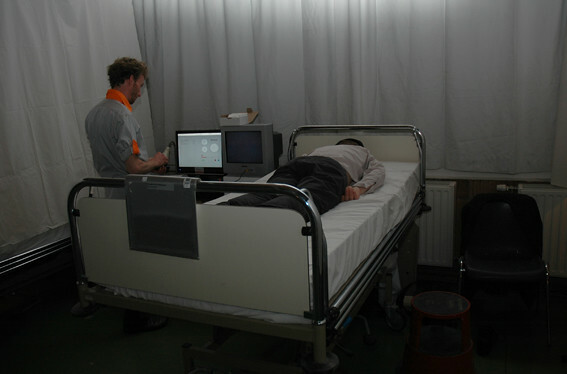 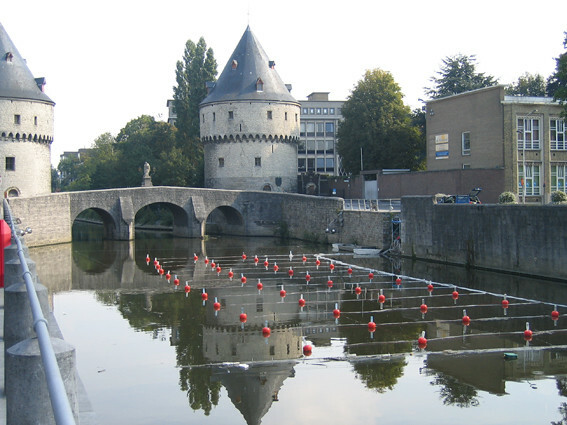 Radboud Mens sound-artist since the mid-eighties. 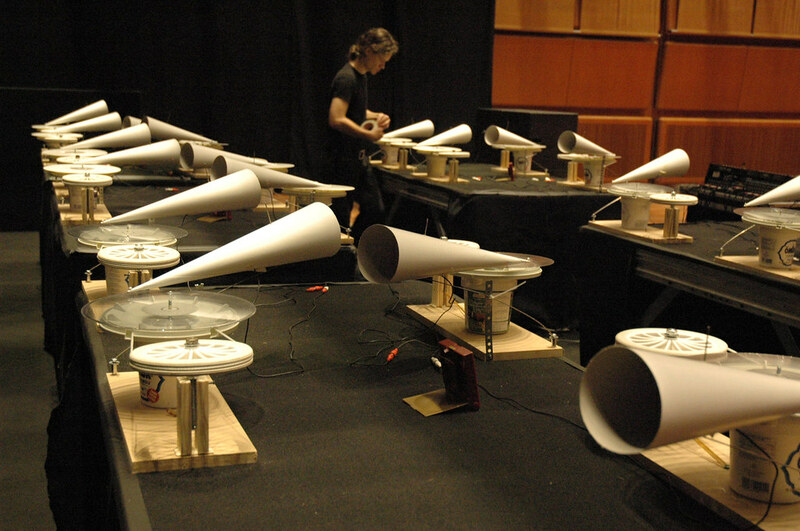 In 1988 he started creating audio-installations and noise-machines. 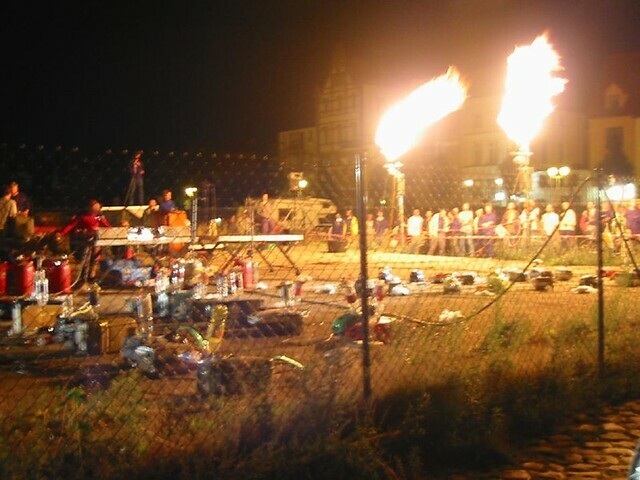 (In the past Carsten Stabenow ). 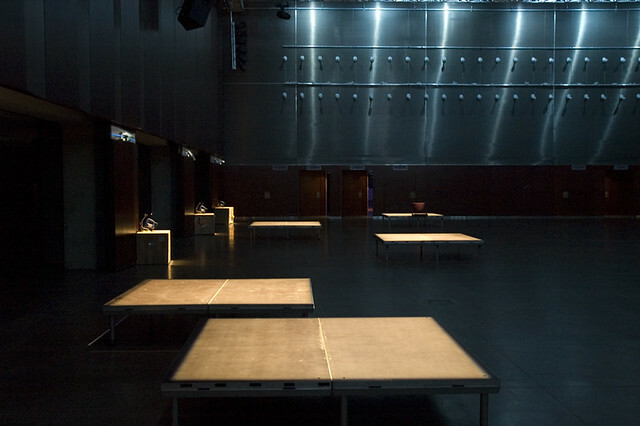 Staalplaat Soundsystem has been showing works at several international festivals, museums, galeries and events like: Avanto/Kiasma Museum of contemporary art – (Helsinki), Sonar/Centre de Cultura Contemporània de Barcelona , 798 South Gate space (Beijing), DEAF (Rotterdam), Transmediale (Berlin), Ars Electronica (Linz), Todaysart (Den Haag), MOCA Taipei, Museum Weserburg (Bremen), Townhouse Gallery (Cairo), Steirischer Herbst ( Graz), ZKM (Karlsruhe), Palais de Tokyo (Paris), Khoj International Artists (New Delhi), Auditorium (Rome) and Los Angeles Contemporary Exhibitions.